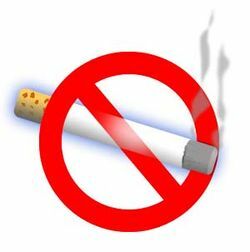 Everyone pretty much knows that smoking is bad for you and if you smoke you should quit. When people think smoking they think of the 800 lb. gorillas of smoking related disease: cancer (lung, throat, other) and heart disease. Not to take anything away from theses disease risks, but there’s some compelling research linking smoking to low saliva flow and/or dry mouth. I’ve written about dry mouth before. Dry mouth is a major risk factor for tooth decay. If you smoke, you know you should quit. So here’s one more reason! Do you have questions or comments? Feel free to email me at alan@meadfamilydental.com. I’m happy to answer them!